Welcome! 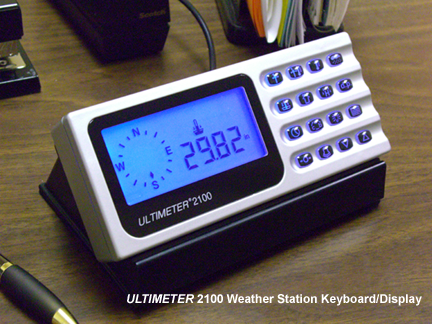 Thank you for your interest in our exciting line of ULTIMETER® Weather Stations, that so many users are finding invaluable in their homes and businesses. We are manufacturers of home weather stations and professional weather stations, anemometers to measure wind speed and wind direction; electronic rain gauges; barometric pressure sensors for barometric pressure change; and humidity sensors for relative humidity, heat index, and dew point. 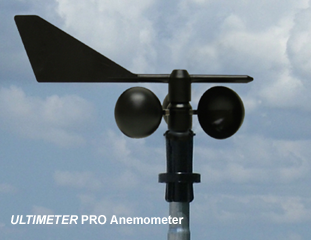 For over 20 years, Peet Bros. has manufactured a variety of attractive, high-performance, easily-installed and long-lasting weather instruments and equipment. Weather information from TV or Internet weather stations, 10 or 20 miles away, often differs greatly from conditions at your location. 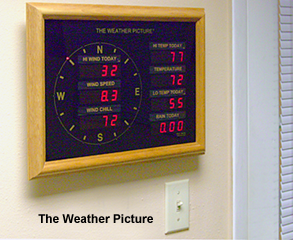 As your on-site weather monitor, an ULTIMETER® Weather Station can provide you with critical weather data for work or play: when a plunging barometer suggests an incoming storm; when an anemometer measures threateningly-high wind gusts; or when dangerously low wind chill conditions occur. 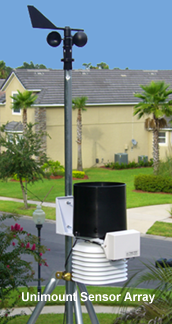 All of our weather stations include WeatherText® Serial Data Output, for weather data recording or transmission. And all three models of ULTIMETER®s are amateur radio APRS-ready weather stations. Our ULTIMETER® weather instruments are the choice of professional and serious amateur weather watchers and weather station reviews the world over.